Squaw Valley USA is set to be acquired by KSL Capital Partners of Denver, Colorado. 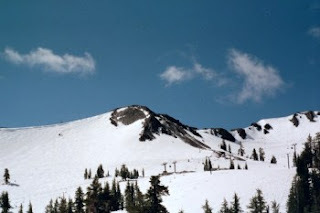 It’s with a respectful eye for the past that I say this news is part of a new era in Squaw Valley’s incredible history. KSL is dedicated to further enhancing the resort and the guest experience by committing over $50 million in additional capital improvements over the next 3-5 years. The KSL team, all of whom are skiers and riders, are thrilled to be the new owners of Squaw Valley and are excited about the resort’s future. Olympic House Renovations: Olympic House has been remodeled to include all new menus and a fully renovated Bar One. New menus include fresh salads, gourmet pizzas, Asian stir-fry bowls and custom-made burritos. New Mountaintop Kids Zone: Belmont Park has transformed into a kids terrain park complete with a snow fort and kid-friendly jumps, bumps and whoopty-doos. Expanded Demo Center: Located in the Village, this high-performance shop will work in conjunction with the on-mountain Gold Coast Demo Center allowing guests to conveniently try out this season’s latest technology. The shop will also offer the best in tuning with a brand new Wintersteiger tuning machine. Expanded Night Terrain Park: For the 2010-11 winter season we’re greatly expanding night skiing and riding with new lighting in the Riviera Terrain Park and halfpipe. Renovated Squaw Kids Children’s Center: The Squaw Kids Children’s Center has been renovated, including an expanded second floor, larger lunch room and more rental room space. Three New State-of-The-Art Grooming Machines: Three new grooming machines have been added to Squaw Valley’s snow cat fleet, significantly improving snow surface quality and grooming by 25%. Improved Snowmaking: Squaw Valley’s snowmaking multi-year equipment upgrade to greener and more efficient models continues into its ninth year. We’ve also expanded snowmaking in the halfpipe. 39° North remodel completion; transformation of entire ground floor The final stage of the $3 million remodel of the mid-mountain restaurants at Gold Coast is complete. On the ground floor 39° North has been transformed with new food and an entirely new aesthetic. New Gates To Skills Ski Clinic: Skiers can experience race course excitement and be coached by one of the best—Thomas Gardtman. New Shops in the Village: Squaw welcomes a host of new shops to the European-style base village: Squaw Dogs, Marmot and Squaw One Logo Company. New Conference/Events Center: An extensive remodel of the Olympic Village Lodge & Conference Center (OVL) is complete and will be available for meeting space, weddings and conferences. And we’re really just getting started, thanks to KSL’s commitment to the future.